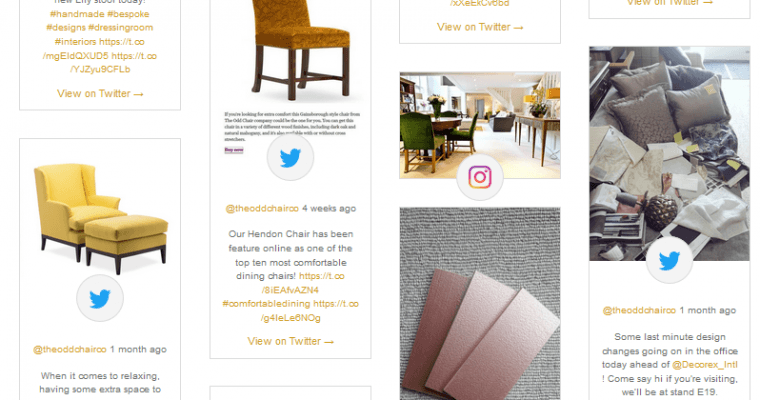 Home › News › Out with the old and in with the new! 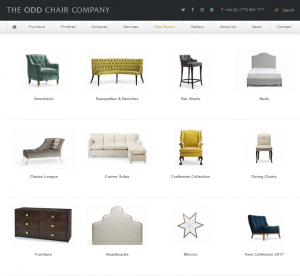 It’s finally here and we’re delighted to share with you our new and refreshed website. 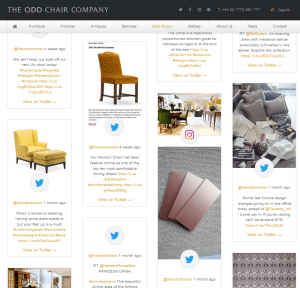 We have a brand-new News/Blog page including a live feed element showcasing our latest tweets and Instagram posts, allowing our visitors to stay up to date with what’s going on at The Odd Chair Company. 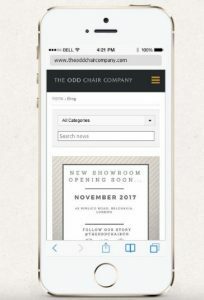 Along with the above changes we’ve also made a host of enhanced ‘behind the scenes’ changes including website speed, responsive design on mobile, and functionality to improve your entire experience of browsing our website.